Did you know that it is not required for auto detailing chemical companies to fully disclose their ingredients on their packaging and labeling? 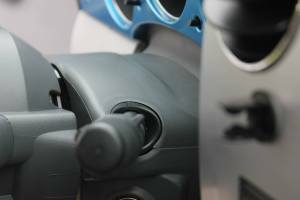 This means that an overwhelming majority of auto detailing companies cannot honestly tell you that the products they are using are 100% safe for the user, consumer or the environment. Your family could potentially be exposed to hazardous chemicals in your vehicle after the detail. When I founded EcoGreen in 2010, this fact troubled me tremendously. I set out to find a company that that could provide high quality eco friendly products. I did this with the understanding that if such a company existed, my product costs would be significantly more costly than my competitors and my profit margins would be lower. Here at EcoGreen we couldn’t be any happier knowing that we are providing our clients with products that are guaranteed to be 100% safe for our people and environment. 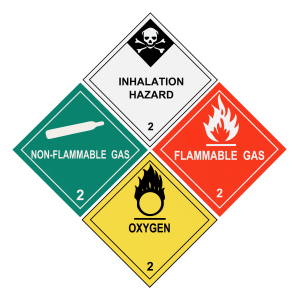 We are partnered with Eco Touch, who is a standalone company in its industry due to the fact that they fully disclose the ingredients on their labels and Material Safety Data Sheets (MSDS). 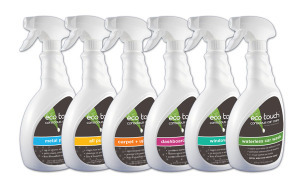 Eco Touch utilizes plant-based ingredients such as citrus, lavender, coconut oil all contained in spray bottles and containers that are 100% recyclable. Eco Touch uses the motto, “Quality without compromise.” I am here to tell you that they mean every bit of it. When choosing a cleaning product for personal use or hiring a professional detailing company, your health should be considered because you and your family deserve the absolute best! 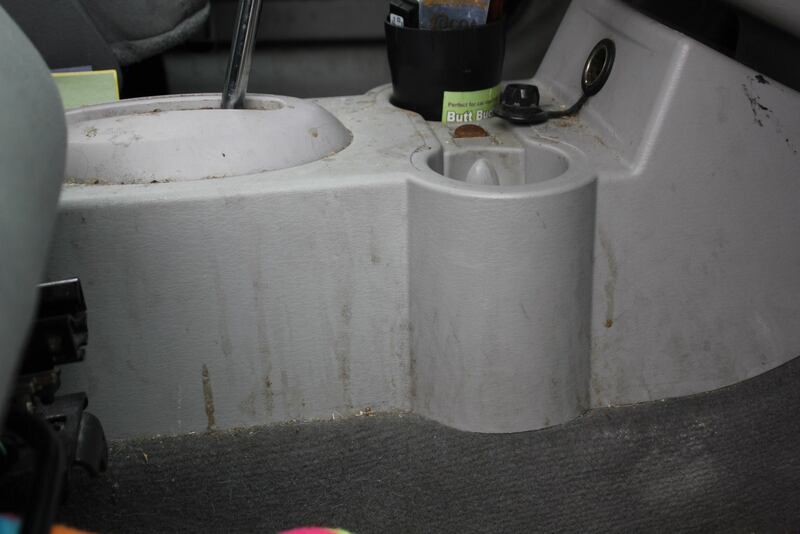 Why Are You Being a Chauffeur to Germs and Bacteria? When you think of germs, you probably think of bathrooms, doctor’s offices, schools and more. Did you know that your vehicle’s interior is a perfect breeding ground for germs and bacteria? 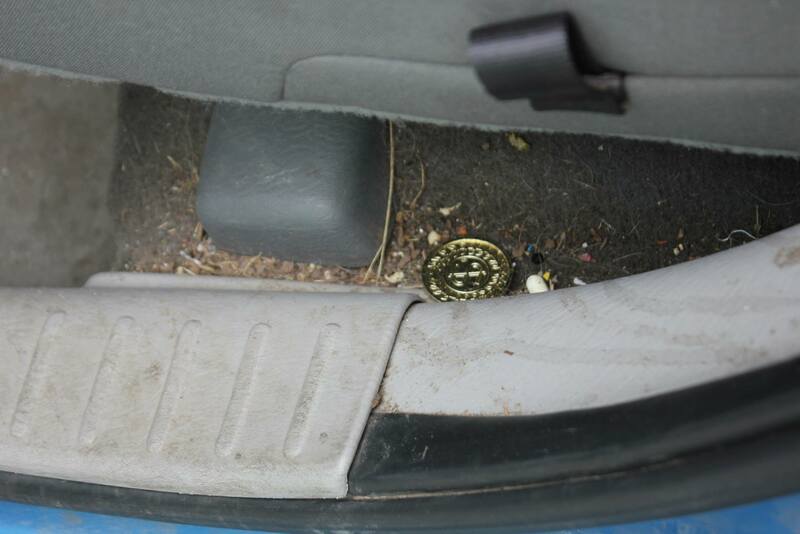 The most contaminated area is your dashboard. Air can carry mold and bacteria and when it gets sucked into your air vents, it tends to stick to your dashboard and other areas of your vehicles. 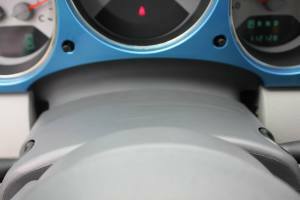 The dashboard stays the warmest due to UV rays which accelerates the growth of bacteria. 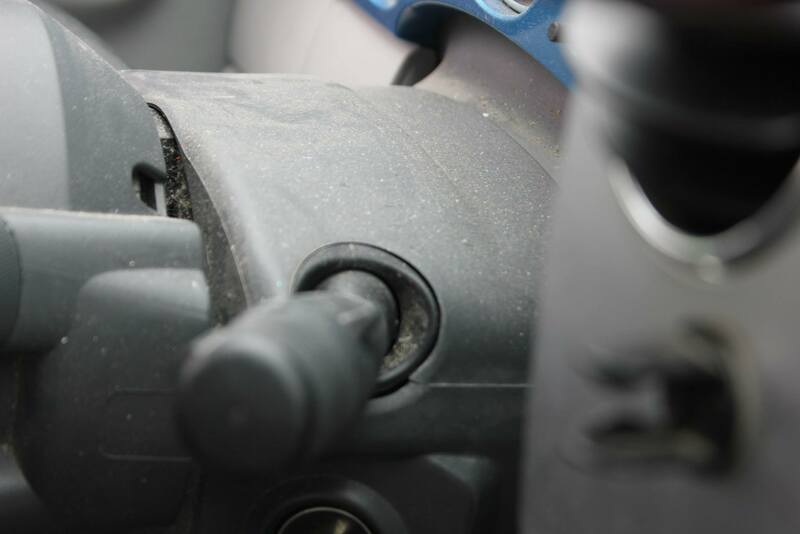 Homes, schools and offices are commonly cleaned on a weekly, sometimes daily basis; cars tend to go six months to a year without a deep cleaning and sanitation of the interior! 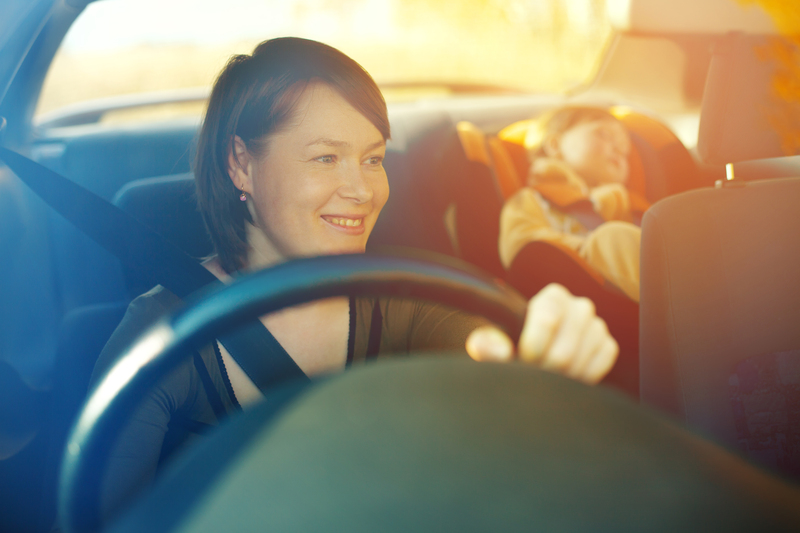 All of the bacteria builds up over time and can be potentially harmful to passengers commuting in the vehicle. Imagine all of the people and food that enters and exits your vehicle every day compared to the length between cleanings. Pretty scary, huh? One solution is to simply keep disinfectant wipes handy and wipe down the areas most prone to infectious bacteria. If wiping with disinfectant wipes just doesn’t cut it with you, look no further! Here at EcoGreen we utilize a state of the art steam cleaning system that is an environmentally friendly solution for a common problem. 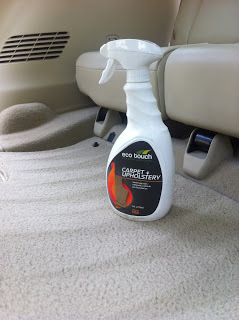 This process can tackle harmful festering germs, bacteria and odors in your vehicle without the use of harsh chemicals. We can offer you peace of mind and help you breathe easier! Has this ever been a concern to you? If so, how are you currently handling this issue? I received a phone call from a potential client on Wednesday, May 16th 2013 (this article has been sitting as a draft for quite some time now). The client informed me that he had been using one of our competitors for a long time but that they were no longer in business. After he did his research, he saw that we may be a perfect fit. He just purchased a brand new BMW M3 days before our conversation. Every now and again I will speak to someone that really understands the importance of detailing and protecting your vehicle even if it is only days old. This particular individual was one that I had the opportunity to apply my knowledge I’ve obtained over the last 10 years. After a thorough conversation about my experience, various paint protection products and several other “concerns” he had, he was confident enough in me to schedule an appointment. Little did I know that this future appointment was an interview process. 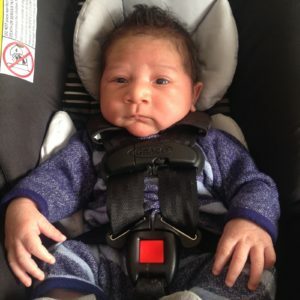 We arrived at his house at 1:30pm sharp on Friday afternoon. 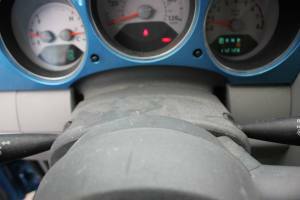 The car needed to be thoroughly inspected to decide which detailing service it would need. He was curious about our waterless car wash method so he asked if he could watch our process. After the wash we inspected the paint under high power LED lighting and measured the clear coat thickness since I knew it would need some polishing. We agreed that the paint needed a single step polish to remove the defects in the paint that were induced by the dealership, poor washing methods or transportation from the manufacturer to the car lot. Alan and I set up our detailing equipment and supplies and began our work. Little did we know that when this client asked to watch our process, he meant the entire time! He watched us the entire four hours we were detailing his vehicle. Typically, we don’t necessarily prefer this, but it gave us lots of time to really understand his needs and expectations if we were going to gain his business for good. We didn’t get any before shots since we were doing a lot of talking but below are a few shots of our finished work. 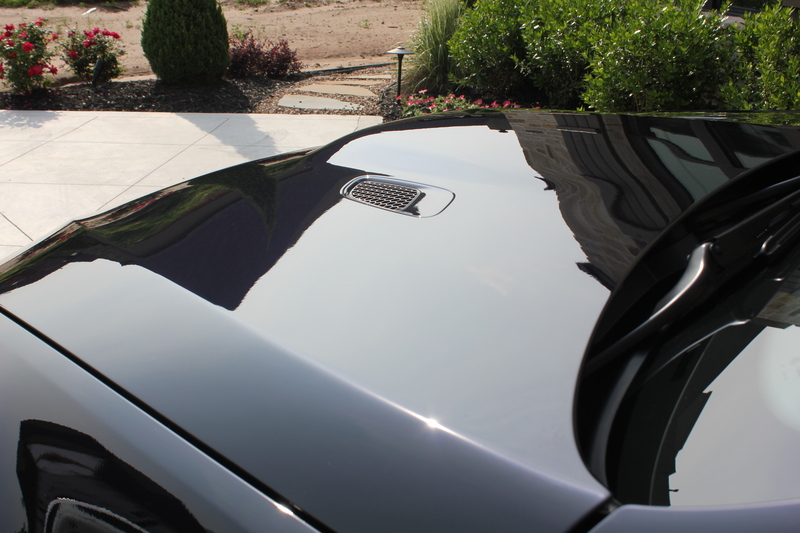 This detail included a one step polish followed by our signature high end paste wax. 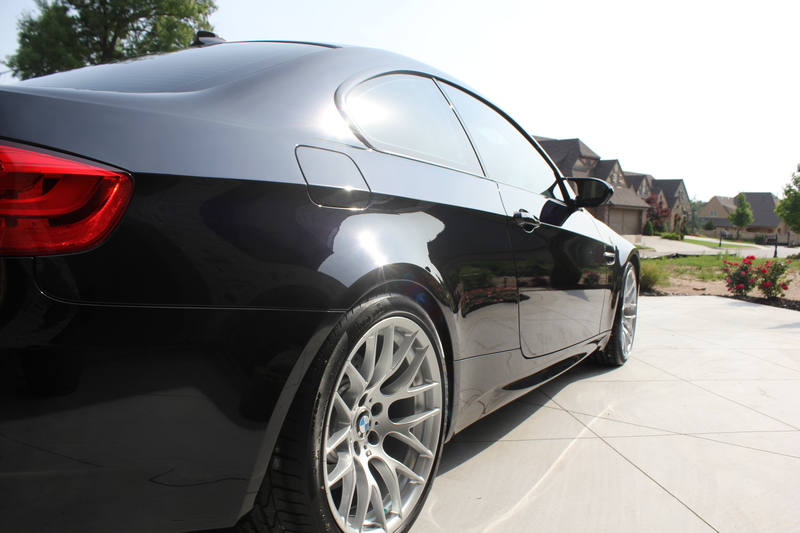 We polished, sealed and waxed all of the wheels and performed our interior protection detail as well. I feel a strong obligation to let you know how I feel about your detailing service. 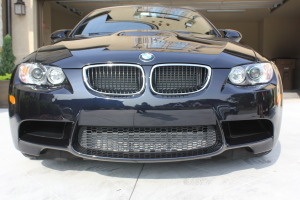 I’ve had my numerous M3’s detailed by different people. After the job you and Alan did recently I can say without reservation it was the BEST job I have ever had done! 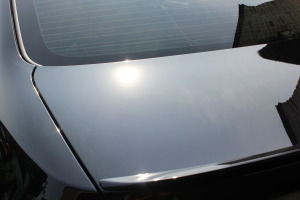 The exterior of the car was spotless and looked like glass by the time you were finished. The interior was immaculate. Your attention to detail, your punctuality, courteous attitude, even the questions you asked was what I was hoping for. It was what all business owners should strive for. Thanks again, you have EARNED my business and I look forward to many more years of great detailing. Great job! If you’re in Oklahoma you know the weather can be very unpredictable. Lately we’ve experienced freezing temperatures, in addition to snow and ice. To prevent us from these hazardous road conditions, companies apply salt and other chemicals to safeguard us from these unwelcome conditions. Unfortunately the chemicals used to protect us create a hazard to our vehicles finish. Salt is a major cause and accelerate for rust, especially on the undercarriage of the vehicle. The vital, unseen components underneath your vehicle such as the braking system, steering components, suspension parts, metal frames including the wheels are essential for the safe operation of your vehicle. 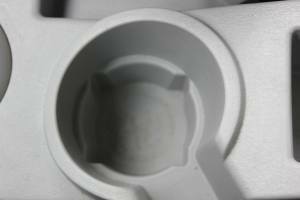 It can also cause premature damage to the painted surfaces if left on the vehicle for too long. Left unattended you may incur costly, unnecessary repairs. Let us show you how we can avoid these problems in 3 easy steps. 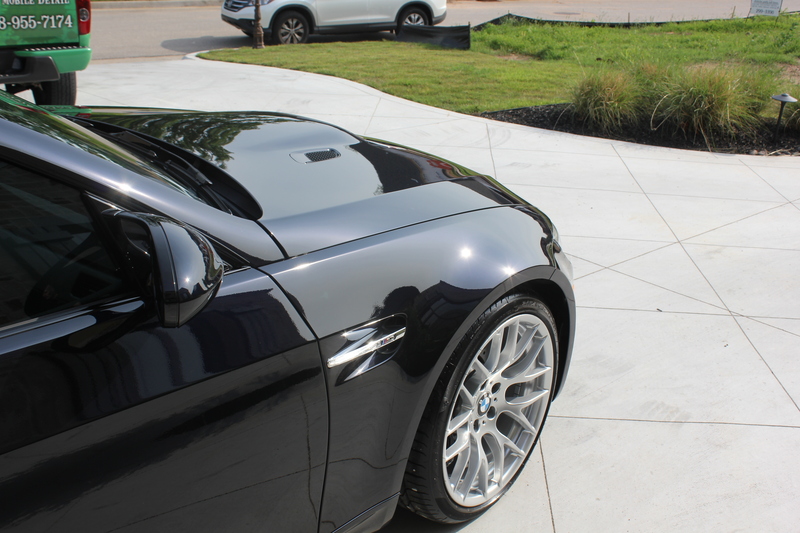 Have your car professionally detailed and protected prior to the winter season: Part of our winterization detail includes the application of a durable wax, sealant or ceramic coating that is applied to paint and wheels. 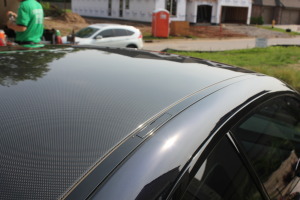 We also perform a window treatment that increases vision and cuts down on wiper wear. The overall process provides a protective barrier between your vehicle and the elements. 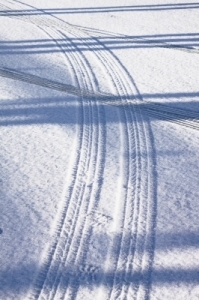 Winter maintenance: Wash immediately, after the snow and ice melt. Preferably at a “touch less” car wash facility, equipped with an undercarriage rinse option. Timing is crucial because the mix of chemicals applied to streets, promote rust on your vehicle as noted above. As a result, you prevent build up that could damage essential mechanical parts underneath the vehicle. NOTE: With my years of experience in the automatic car wash industry, I’ve seen a lot of damage occur from drive through car washes. If you plan to go to an automatic carwash, only use the touch less wash! 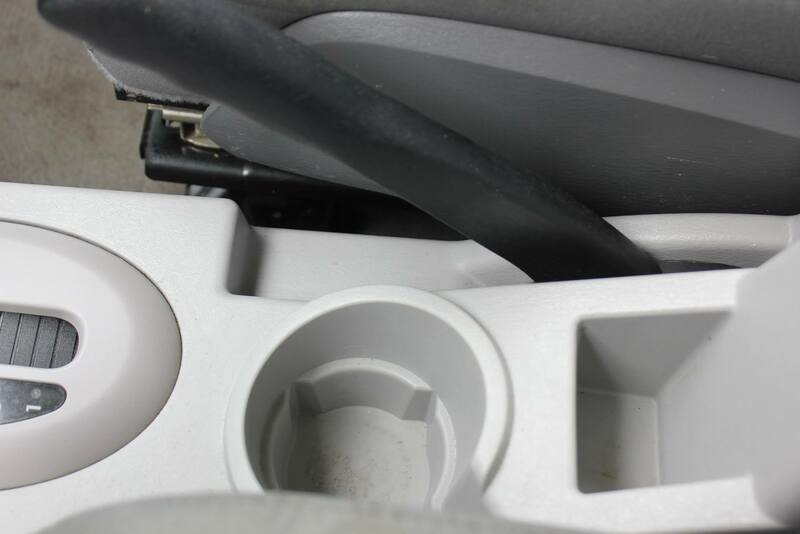 If brushes or foam strips come into contact with your vehicle, they will be carrying all of the salt and grime that they picked up from everyone else’s vehicles. I’ve seen this happen way too many times to count. 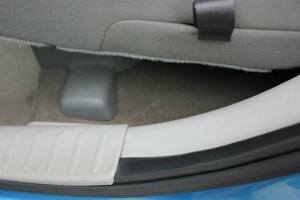 Protect your carpets on the interior of your vehicle: The easiest way to do this is to flip all of your mats upside down so that you aren’t tracking any moisture onto your carpets. This is crucial in the rainy seasons as well. It’s amazing how clean you can keep your carpets by simply turning them over. 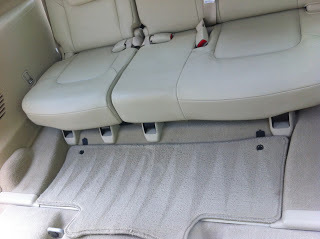 Consider buying mats or something to cover the heavy traffic areas in your carpets not covered by any mats, especially those who transport children with SUV’s. Also, fabric guard can be applied to prevent stains from occurring. I hope this information helps to maintain your vehicle through the winter season. If you have any questions or need further advice, please leave your comments below or contact me directly at 918-955-7174 or DJ@EcoGreenTulsa.com. Happy New Years! Is Your Auto Detailer Being Honest About the Products They’re Using? 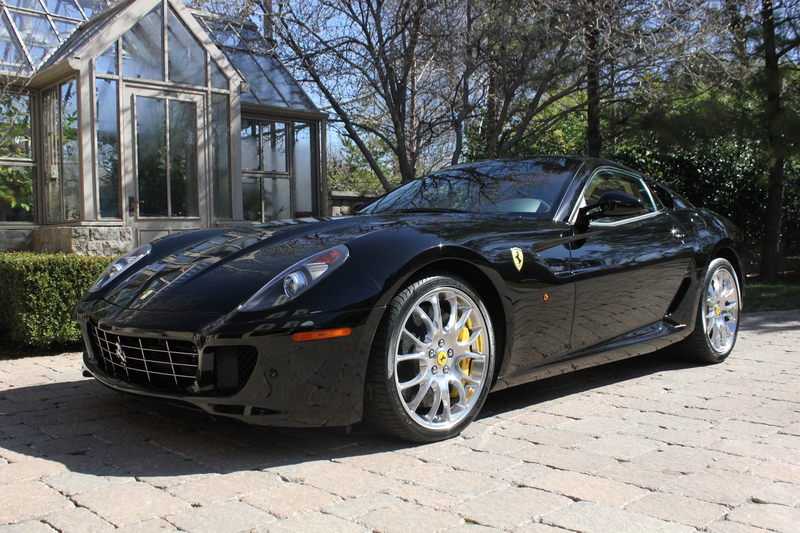 In 2010 I decided to bring an eco friendly alternative to traditional auto detailing here in Tulsa, Oklahoma. I’ve used many different car care products in the past that have claimed to be eco friendly but being the detail oriented person (OCD is a better way to put it J) that I am, I had to know what ingredients were in the products. Biodegradable or eco friendly just didn’t cut it for me. I did not want to claim to use eco friendly products and not be able to disclose the ingredients if asked either. After some extensive research, we found Eco Touch. Unlike the overwhelming majority of auto detailing product manufacturers, Eco Touch reveals both the functional and scientific ingredients on their packaging and website. I’ve worked with many products and I can honestly say this is the first company that I’ve seen do this. Eco Touch was founded by two environmental entrepreneurs from Portsmouth, NH. Eco Touch products are now distributed in 20+ countries as well as online. They have also been featured in many prominent media outlets such as The National Geographic and The New York Times. Can you see why I am a proud partner and believer in Eco Touch? They are also a Green America certified business. I became such a believer in Eco Touch that I HAD to bring it to Oklahoma. Now we have the confidence of saying we are a completely green company not just because we save 60+ gallons of water per cleaning and use companies that claim to be green, but because we know Eco Touch is the real deal! People may get the notion that just because these products are eco friendly and safe that they don’t work as good as the “strong toxic” cleaners. 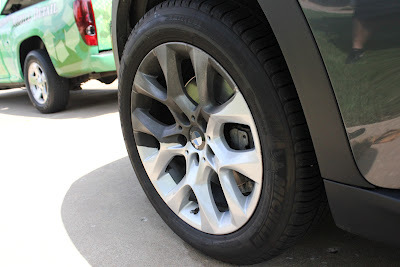 Well…Eco Touch says it best, “car care without compromise”. Take a look at the photos below and draw your own conclusion. To take advantage of this great line give us a call and lets get these products in to your hands. One of my goals with Eco Green, is to change the auto detailing industry here in Oklahoma and get EVERY detail company, detail shop, and car enthusiast using green products or at least let them know that there are greener options. If you are car enthusiast or a professional detailer, give me a call. 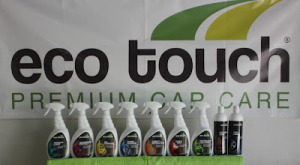 Eco Touch…Car care without compromise. Choosing a detailing company can be hard, almost like choosing a place to eat in a foreign area. In most cities the market is saturated with tons of detailers, but which one should you go to? 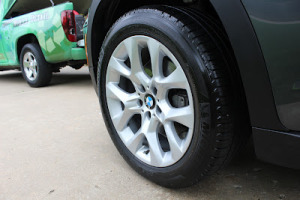 In this article, I will give you 6 things to look for when choosing a detailing company. 1) Accreditations: Are they accredited by their local Better Business Bureau? To be accredited by the BBB, a business affirms that it meets and will abide by the following six standards: Build Trust, Advertise Honestly, Tell the Truth, Be Transparent, Honor Promises, Be Responsive, Safeguard Privacy, and our favorite Embody Integrity. You can find this on their website. 2) Reviews: This is a no brainer. What are others saying about them? Platforms like Angie’s List, Yelp, Google, Facebook and LinkedIn are great places to see how reputable detailing companies are. 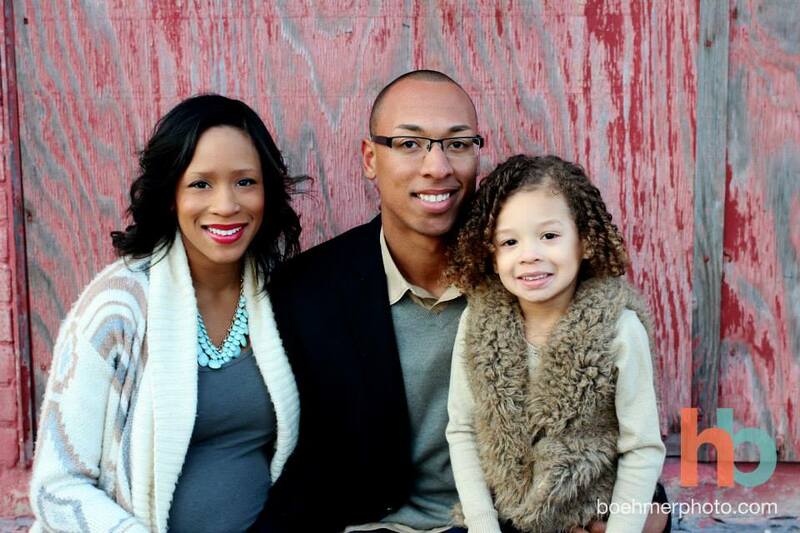 Check out an email testimony that a client wrote us HERE! 3) Certifications: Ask the company if they have any certifications. I like to think that I’m the leader in my local industry, one of those reasons is because I’m certified by several organizations. Here at EcoGreen, I claim to be a green business because I use products that are green and use less than 500 gallons of water per year. It isn’t enough for me to just say that. I actually went through an extensive certification process through Green America to become a National Green Certified Company. 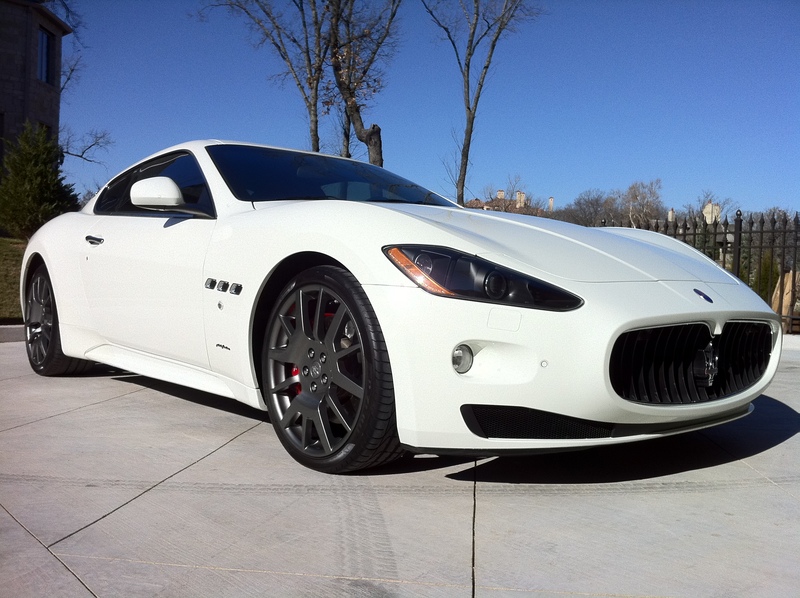 I’ve also traveled the country and obtained several certifications in auto detailing and reconditioning. This billion dollar industry is changing rapidly and I’m all about investing in continuing education and passing my knowledge onto my team members. 4) Years in Business: There are lots of “fly by night” detailing companies that pop up every summer to try and get a piece of the pie. You may notice these companies putting out lots of “deals” on Living Social or Groupon during the summer seasons. Why choose a company that only wants to cash in during the busy season when you can go with a company or individual with lots of experience with running successful operations year after year. 5) Insurance: Any honest detailing company will tell you that accidents do to happen from time to time. So make sure that the detailing company you’re hiring is fully insured to protect themselves and you against any unfortunate events. 6) Appearance: Have you ever driven by a full service car wash and saw workers wearing whatever they pleased? A true professional company has a strict dress code. This dress code should say a lot about the way they do business. Dress code isn’t everything. 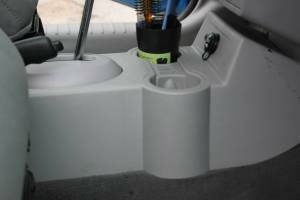 A clean detailing truck or van says a lot about the company you’re working with. Would you hire a personal trainer that was overweight? What do you look for when choosing a detailing company or ANY company for that matter? Leave your comments or feedback below. 1. We are Tulsa’s first “true” eco friendly water-less auto detailing company. 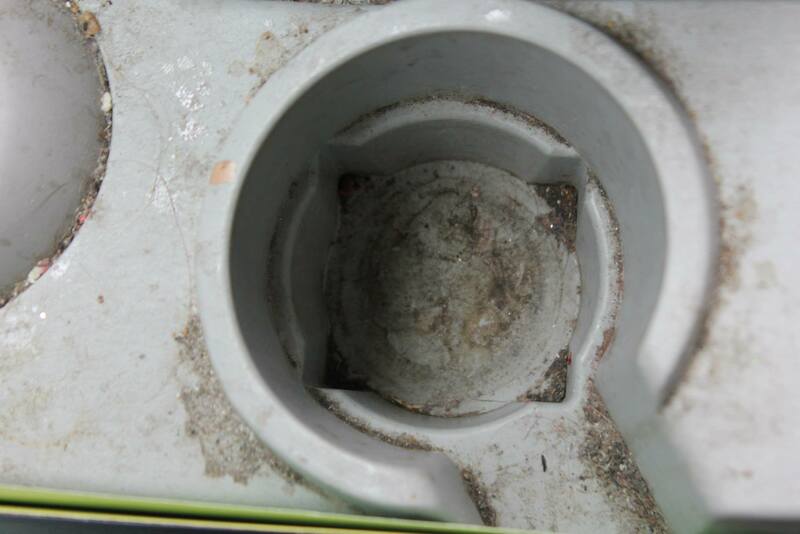 We conserve about 100 gallons of water per cleaning, which eliminates contaminate runoff into our environment. All of our cleaning products are plant-based, biodegradable and phosphate free. 2. Eco Green was founded in April 2010 by me, DJ Patterson, a young Tulsa entrepreneur. I always knew that water-less car washing and eco friendly auto detailing in Tulsa would be a success. My vision is to take the traditional auto detailing industry and completely change it. Eco Green is now the most responsible way to clean your vehicle. I am proud to be a local pioneer in my industry. I am thankful for my mentors and supporters that have helped me through this journey. We use an environmentally friendly cleaning agent that cleans,softens, and safely lifts dirt from the surface leaving your paint with a brilliant shine. The product is 100% NON-ABRASIVE. It is applied by spraying it onto the vehicle and safely wiping the dirt off the surface, right onto the microfiber towel…without scratching your paint! 4. 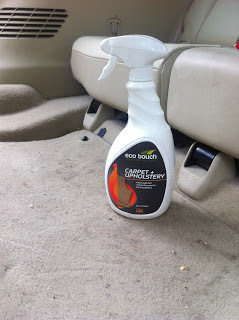 Eco Green is the future of Auto Detailing in Tulsa. We aren’t just auto detailers. We are a team of people that want to make a difference in our community. 5. 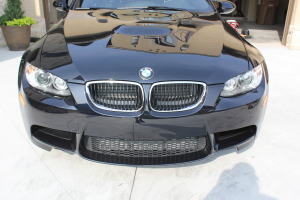 We are insured and certified auto reconditioning specialists. We uphold the highest professionalism and guarantee satisfaction with every client. Now Hiring- Be a Part of Something That Matters! Auto detailing is art to us and we are in the market for more artists that are as equally passionate about the fruits of their labor. We are growing rapidly and in need of individuals that are willing to be a part of something that matters. If you’re a car nut, enjoy working with people, have a little sickness known as OCD or better yet, love our environment; you may be our next team member! 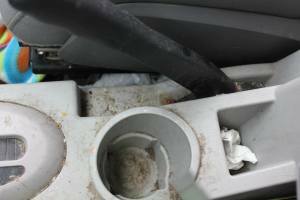 What’s the environment got to do with a clean car? 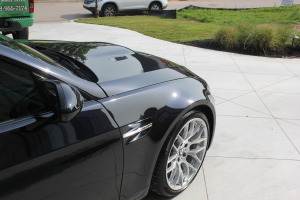 We created a company that not only produces high quality auto detailing work, but we avoid compromising our beautiful planet for a freshly cleaned car. We use plant-based cleaning agents and utilize a waterless car wash system that saves an average of 100 gallons of water per wash! This process prevents contaminated water from entering our waterways which kills aquatic life and pollutes our beautiful earth. Pretty cool, huh? We currently have one mobile unit that has been servicing Tulsa, Oklahoma since April of 2010 and we added a second mobile unit June of 2013. Both units are no longer able to keep up with the high demand of auto detailing requests in the urgency that is needed. 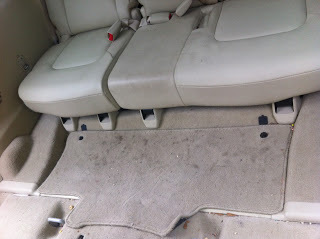 Good problem to have, yes, but we want to provide our auto detailing services as soon as the client requests them. We would like to have several more mobile units servicing the Greater Tulsa area ASAP. We want you to be a great detailer and also contribute to our growth. We are looking for self motivated, leaders. This means using your strengths to help implement and better our current systems, while maintaining the great clientele we have. “What will my hours be,” you ask? Great question! We do our best to keep consistency but we are working for real people, and lots of them! Your start and finish times will vary day by day so you need to be flexible. We will provide you with a weekly schedule but don’t be surprised if it changes the evening before. We also need you to be comfortable with inconsistencies because let’s face it, we live in Oklahoma and the weather can be a bit unpredictable. We consider down time an opportunity to collaborate. We like to take a step back and look at what we can do better for our clients and more so, each other. Again, we want to capitalize on your strengths and allow you to have your hand in all we do. We don’t want this to just be a job for you. We want you to be a part of a culture that is willing to take a stand in the auto detailing industry. 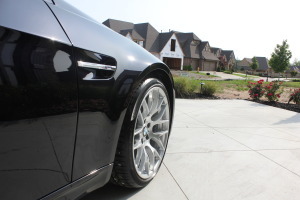 We don’t simply strive to be eco friendly but to be the absolute best auto detailing company and Tulsa’s most responsible way to clean their vehicles. Does this sound like the type of company you want to be a part of? Do you want to say you are part of the change that Tulsa is experiencing? If this is you, please email us why you think you’re the right fit along with your resume to Info@EcoGreenTulsa.com. Welcome to my new blog. My name is DJ Patterson, owner and certified detailing specialist at EcoGreen Mobile Detailing. My goal is to keep you up to date with tips and tricks on how to maintain your car, educate you on the benefits of green detailing, provide informative tutorials, show off some of our really cool detailing jobs and so much more! If you own an automobile, then this blog is for you. I don’t intend this to be a monologue, but a dialogue. I want you to give me your feedback in the comments section. I will read every comment and respond as I am able. If you have a topic you want me to address, please leave a comment below. I am looking forward to connecting with you! 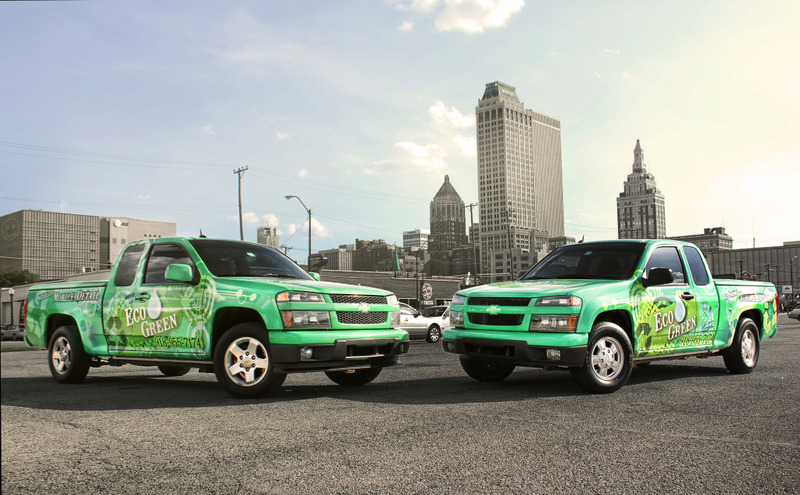 We are a part of Tulsa's Sustainability Crew. We take our mission seriously and desire to help our local community meet its goals. Saving water and caring for our world's water sources is everyone's responsibility. 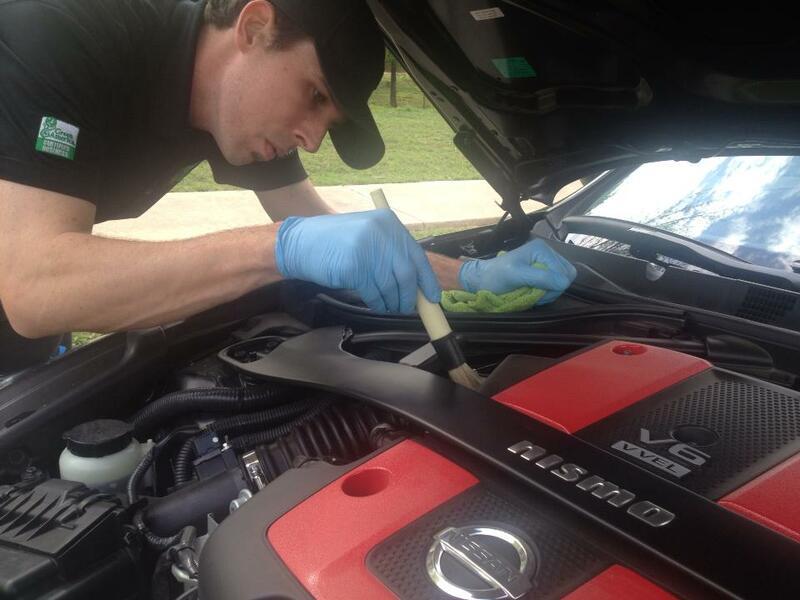 When your car is detailed by us, you are actively participating in preserving our planet. Join in on Tulsa's sustainability difference! Call us today @ 918-955-7174. © 2018 EcoGreen Mobile Detailing LLC. All rights reserved.